The mudroom gets no respect. 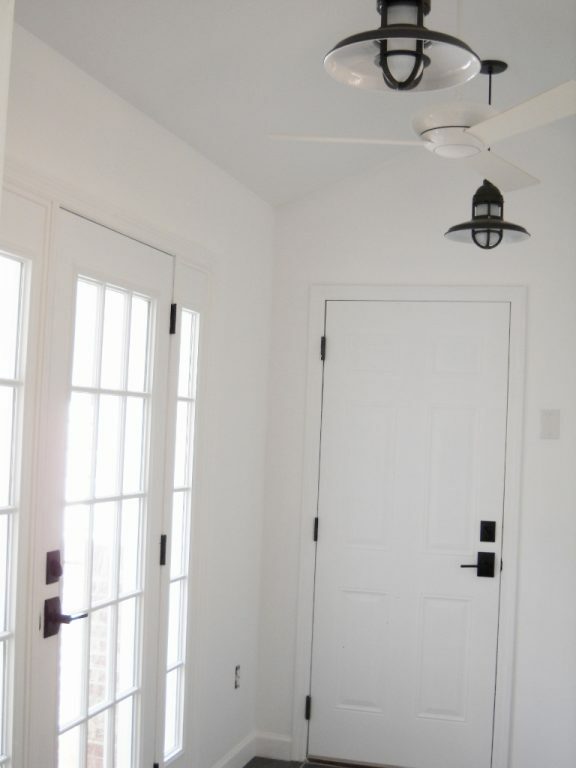 A completely utilitarian space, the mudroom functions to simply accept our dirty, wet boots and jackets while we head off to more comfortable, cleaner spaces in the home. 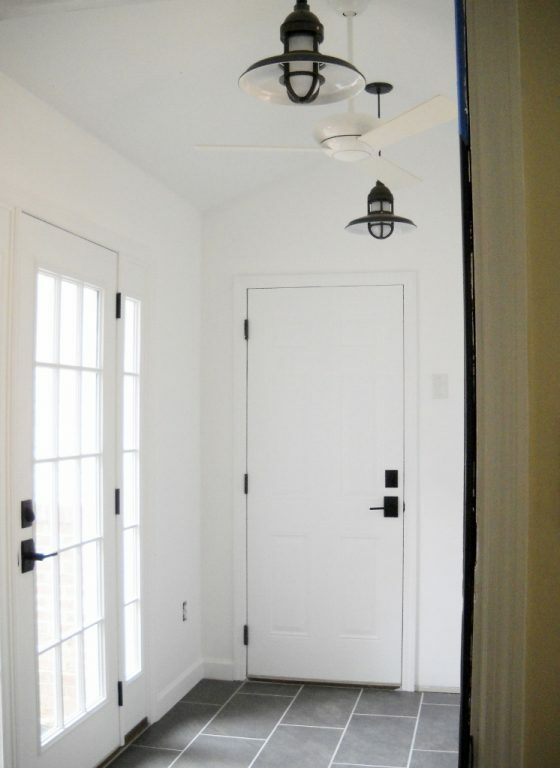 When Beth set out to remodel her mudroom, practicality was certainly in mind, but because her space is visible from both the den and kitchen, she hoped to make the space visually appealing as well. With those parameters in mind, Beth focused on a hybrid industrial/barn/cottage feel to the space which fit well with the surrounding horse country of Aiken, South Carolina. 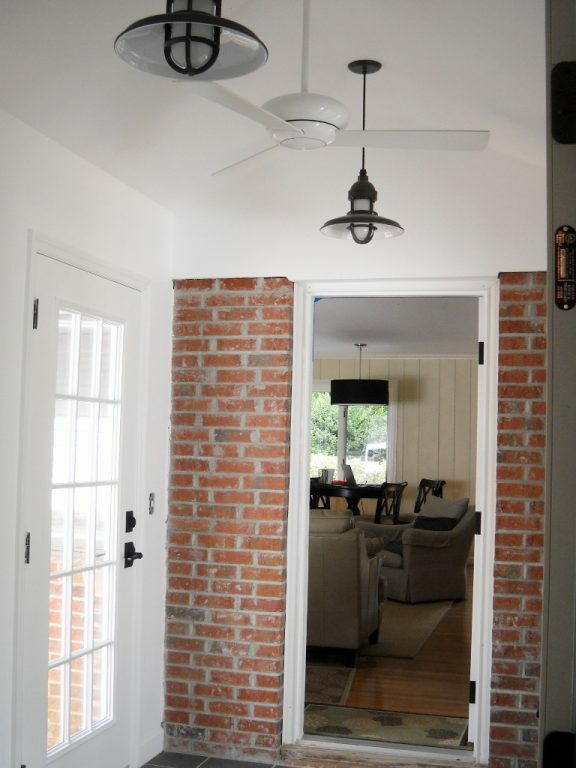 They vaulted the ceiling to expand the space and searched for barn pendants that would offer the look they were after. Beth first saw the Brisbane Industrial Cord Hung Pendant on Houzz. These handcrafted barn pendants give a nod to the explosion proof factory lighting of the early 20th century. Meant to withstand the rigors of the warehouse environment, these ceiling lights provided plenty of light for the tasks at hand. “We looked at what seemed like hundreds of different styles online and in stores but we kept coming back to the Brisbane,” Beth says. 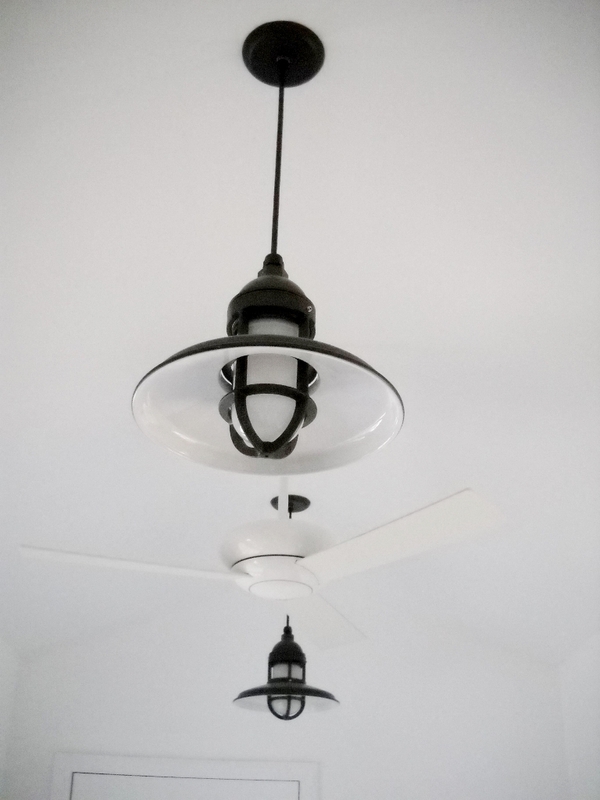 “They were just ‘it’ from the start.” Beth customized her new barn pendants with 12″ shades, a Bronze finish, standard black cords, and frosted glass. “We were looking for something fairly neutral as I’m a bit of a design chicken when it comes to color,” Beth notes, “and I HATE seeing light bulbs. 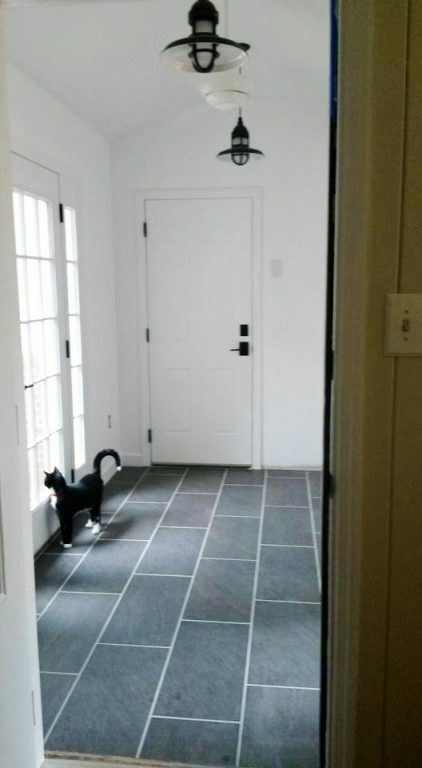 The frosted glass option along with a fixture that could actually take a 100 watt bulb was honestly a find!” Fitch, the couple’s two-year-old rescue kitty, loves the new space! The classic cast guard-and-glass design of the Brisbane Pendant allows for uplighting and the shallow bowl offers a generous downward spread of light. 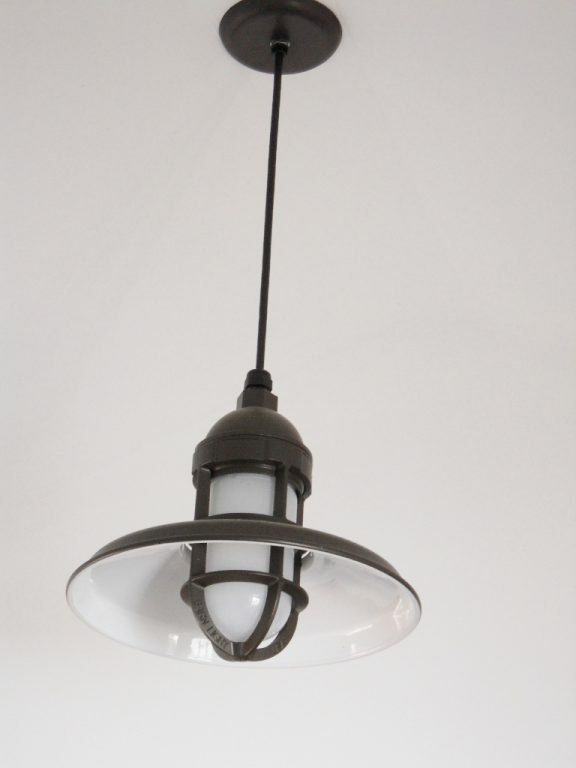 This vintage industrial pendant is American made and can be customized with three shades sizes and 20 finish colors. “The ability to customize was a primary factor in choosing as we did,” Beth explains. “The ability to alter some of the features was something other providers didn’t offer. 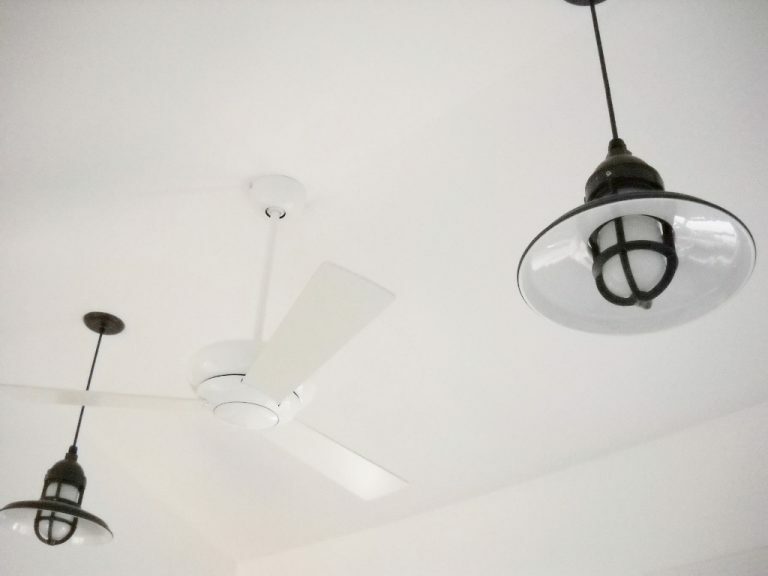 With the Barn Light Electric fixture, we got exactly what we wanted and didn’t have to settle for or live with some other feature.” Although concerned somewhat about the quality of lighting purchased online, Beth was thrilled when she took her new barn pendants out of the box.